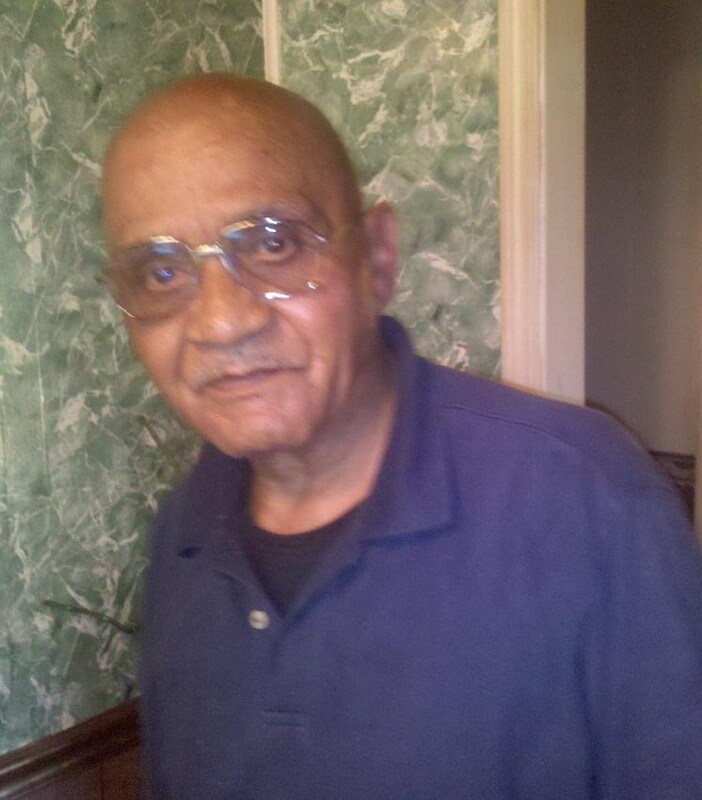 Funeral services for Veteran Alphonso Rutherford of 479-A Middle River Road, Americus, GA will be held on Wednesday, January 4, 2012 at 1 p.m. from the sanctuary of the Bible Way Fellowship Church. His brother, Rev. William Rutherford will officiate and burial will follow in the Cooper Cemetery. Mr. Rutherford died on Friday, December 30, 2011 at his residence. Al, as he was affectionately called, was born on October 22, 1945 to the parentage of the late Mr. Homer William Rutherford and the late Mrs. Elma Brown Rutherford. He received his education in the public schools of Sumter County, Georgia. He served his county by enlisting in the US Army for 12 years. After several years, he retired from the Wal-Mart Super Center in Americus, Georgia. Mr. Rutherford was married to his “Soul Mate”, the former Ms. Annie Irene Cooper. This union was blessed with three beautiful children; Kevin, Jeffery, and Alicia. Fond memories will live on in the lives of his family which include his devoted wife, Mrs. Annie Irene Cooper Rutherford; his children: Mr. Kevin Rutherford of Ft. Stewart, GA, Mr. Jeffery Rutherford of Powder Springs, GA, and Ms. Alicia Rutherford of Americus, GA; his grandchildren: Shiheen Norkaz Rutherford, Jayla Joi Rutherford, and Ka’Dasia Rutherford; his brothers: Rev. Homer William (Marilyn) Rutherford of Orange, N.J. ,Mr. MacArthur (Rosa) Rutherford and Sgt. Irwin Clyde (Beatrice) Rutherford both of Americus, GA, Mr. Herman Lewis (Brenda) Rutherford of McDonough, GA, Mr. Roy Rutherford of Americus, Georgia, and Mr. Theodore (Kimberly) Rutherford of Warner Robins, GA.; his sisters: Ms. Anne Barnum of Albany, Georgia, Ms. Doris McKnight of McDonough, GA, and Min. Linda (Min. Mathis) Wright of Cobb, GA., his sisters-n-laws: Mrs. Nadine (John) King of Smithville, GA, Mrs. Vera (Arie) Any of Dallas, GA, Ms. Rena Cooper of Conyers, GA, Ms. Barbara Linnear of Augusta, GA, Mrs. Eartha (Johnny)Robertson of Augusta, GA, and Mrs. Delorn Cooper of Leslie, GA; his brothers-n-laws: Mr. Willie Cooper, Mr. Eddie (Effie) Cooper, and Mr. Arthur (Carolyn) Cooper all of Leslie, GA, Mr. Reuben (Vivian) Cooper of Miami, Fl, Mr. Tony (Amanda) Cooper of Americus, GA, Mr. Ceasar Cooper of Miami, Fl, Mr. Royzell (Shirley) cooper of Vienna, GA and Mr. Thomas (Angeletta) Cooper of Fayetteville, N.C. and a host of nieces, nephews, cousins, other relatives and friends also survive the late Vet. Alphonso Rutherford. 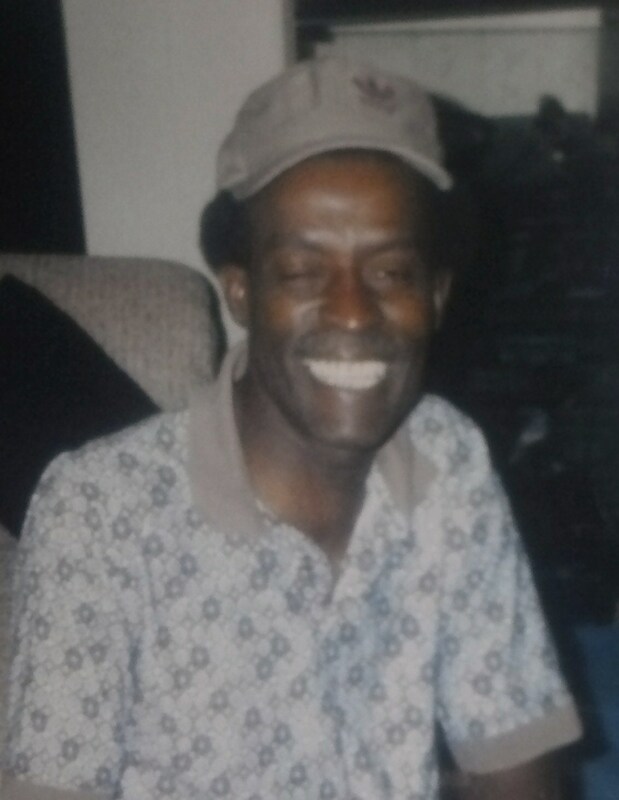 Funeral services for Mr. Adolph Alexander West of Miami, Florida affectionately known as "Sonny" will be held on Saturday, December 31, 2011 at 12:00 Noon at the New Hope Baptist Church. Burial will follow at the church cemetery. 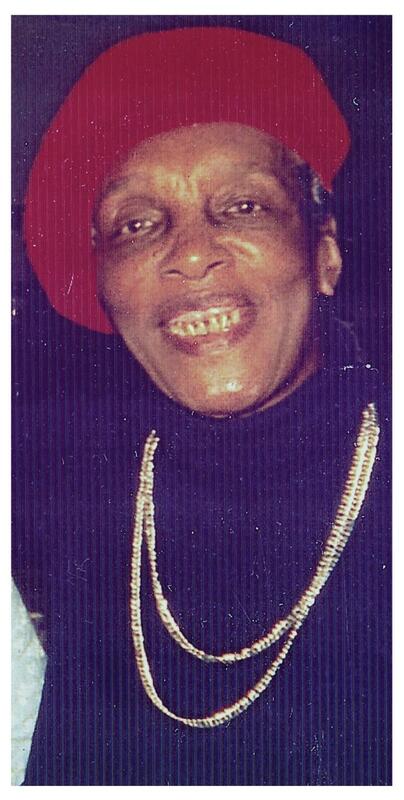 Aldolph Alexander West was born July 24, 1942 in Montezuma, Georgia to the late Mr. W Ashmon and Nettle Mae West. ‘Sonny’ as he was affectionately called grew up and was raised in Montezuma, Georgia by his grandparents, Mr. Leonis and Mrs. Matilda West. Later in the 1950’s he joined his mother Nettle Mae in Miami, Florida. He continued his schooling in Miami; He never forgot his roots in Montezuma. He was proud to be a West and the grandson of Matilda. Sonny enjoyed life to the fullest. As a young man he met and married Vera Williams, and to this union four children were born, Alexander West Jr, Cynthia West, Sharon West and Andrea West. He worked at Kelly Tractor as a truck driver and he managed Mak Freight for many years. Sonny was employed as a Longshoreman for the past seventeen years. He enjoyed his job. Later on in life he met and fell in love with Elizabeth Blanding. 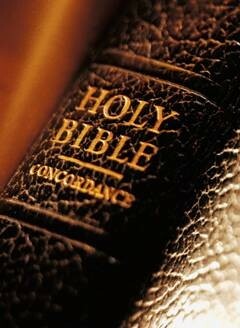 The two were joined in Holy Matrimony April 8, 1977. Elizabeth four children, Reginald Dawson, Michael Dawson, Althea Gilmer and Cynthia Machanic became Sonny’s children. He knew the Lord as his personal Savior, he joined and was baptized at The New Fellowship Christian Center, under the leadership of Reverend Floyd Larkin. On Friday morning December 23, 2011, the Lord saw fit to call Sonny from labor to reward. 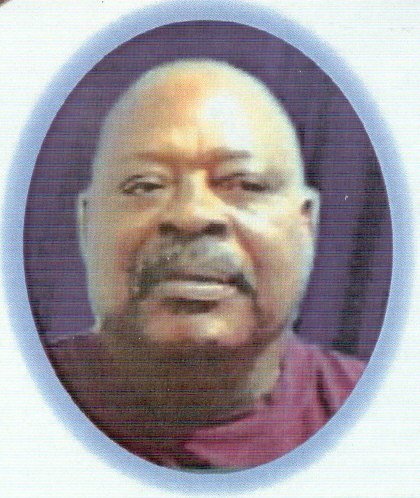 He leaves to cherish his memories: his wife, Elizabeth West sons, Alexander West Jr., Reginald Dawson (Daphne), Michael Dawson (Debra); daughters, Andrea West-Brown (Derrick), Cynthia Pena Greg), Sharon R (Louis), Althea G (Karriem), Cynthia Machanic Amos); sisters, Jacqueline Merine Hodges (Alliston), Yvonne Merine Sorrells, Vivian Merlie Stots (George), Elberta A,. Harris, Lillie R. Ambless (Eddie), Mamie L Mills, Delores Peterson (E. J. Peterson), Carolyn Thorpe (Richard), Wylene Amadi, and Victoria Wright; brothers, Willie James Larry (Elizabeth), Snaffer Ashmon (Hattie), Freddie M. Ashmon (Bertha), Willie C, Ashmon (Marie), Nathaniel Ashmon (Annie) Calvin Ashmon (Geraldine); sisters-in-law, Gloria Smith (Alexander), McLois Blanding and Mary King; brothers-in-law, Cornelius Blanding (Mary and Phillip Blanding (Magie); a very special loving cousin, Hubert West; numerous grandchildren and great-grandchildren; a host of nieces, nephews, cousins, other sorrowing relatives and friends. Ms. Ozelle Tookes, daughter of the late Lelia Harmon Tookes and the late Robert Tookes, Sr. was born on May 2, 1922 in Macon County, Georgia. She departed this life Sunday, December 18, 2011 at Miona Geriatric & Dementia Center in Ideal, Georgia. Funeral services will be held on Thursday, December 22, 2011 at 1:00 P.M. at the Traverlers Home Baptist Church in the Grangerville Community in Ideal, Georgia with Rev. Carl Munns officiating. Burial will follow at the Taylor Cemetery. Her memory will forever be cherished by her children, Annette Tookes of Atlanta, Georgia, Roy Tookes of Detroit, Michigan, Johnny (Charlie Rose) Tookes of Ellaville, Georgia and Alton Tookes of Ideal, Georgia; a sister-in-law, Katie Tookes of Miami, Florida; a host of grandchildren and great grandchildren, nieces, nephews, other relatives and friends also survive. Patricia Ann Williams, daughter of the late Bessie Mae Williams and the late Willie B. Williams, Sr. passed away Saturday, December 17, 2011 at Flint River Hospital, Montezuma. Funeral services will be Saturday, December 31, 2011 at 3:30 in the Chapel of West's Mortuary, Montezuma with Rev. Curtis Frazier officiating. Burial will follow at the New Hope Cemetery. Her memory will forever be cherished by her son, Tony Leon (Latonya Rackley) Paster of Montezuma, Georgia; her companion, Albert Billy Hudson of Oglethorpe, Georgia; sisters: Mary Ann Joiner, Janie Mae (Henry) Smith, Betty Ann Williams, and Bessie Lee Williams of Montezuma, Georgia and Mildred (Ernest) Johnson of Oglethorpe, Georgia; cousins: M.B. and Daisy Barnes of Perry, Georgia; grandchildren: Travis Spivey, Phazone Chatfield, Lamar Rackley, and Leah Rackley; host of nieces, nephews, cousins, other relatives and friends also survive. Graveside Services for Mr. Leonard “Duke” Chastine will be Monday, December 19, 2011 at 11:00 A.M. at the New Hope Cemetery in Montezuma, Georgia with Elder David Towns, Officiating. Mr. Leonard B. Chastine was born on May 15, 1948 to the late R.J. Chastine and Olivia White in Montezuma, Georgia. He was educated in the Macon County Public School System. “Sir Duke” peacefully departed this life on Monday, December 12, 2011. He was preceded in death by one sister Rosa M. “Gloria” Chastine. He leaves to cherish his loving memory two beautiful daughters: Lakisha Hannor and Yunita (Michael) Herndon both of Atlanta, Georgia; four sisters: Anne Faye Chastain of Neptune, New Jersey, Rosa Dean Chastain and Vernell Aaron of Perry, Georgia and Lanis (Donald) Ransom of Atlanta, Georgia; three brothers: James Chastine of Savannah, Georgia, Jesse Chastain and Jerry Chastine both of Atlanta, Georgia; one aunt, Mary Stevenson of South Bay, Florida; two grandchildren: Michael and Cydney Herndon; a loving and devoted nephew, Ronnie Jordan; seventeen nieces and nephews; a host of other loving relatives and friends. Funeral services for Mr. Clifford Brown will be held on Friday, December 16, 2011at 1:00 P.M. at the New Hope Baptist Church in Montezuma, Georgia with Reverend Allen Waters Officiating. Burial will follow at the Brown Chapel Cemetery. Mr. Clifford Brown, Sr. was born June 10, 1927 to the late Louise Roberson Brown and the late Limon Brown in Montezuma, Georgia. He was the youngest of fourteen children. At an early age he accepted Jesus Christ as his personal savior and joined Brown Chapel Missionary Baptist Church. He was united in holy matrimony to Ms. Lottie Mae Robinson Brown. This union was blessed with eight children. Mr. Brown was employed by Rumph Farms for many years. On Monday, December 12, 2011, he departed this life at Coliseum Medical Center, Macon Georgia. His memory will forever be cherished by his wife, Lottie Mae Brown of Marshallville, GA; eight children: Jimmy (Mattie) Brown, Willie James (Shirley) Brown, and Jerry Brown of Montezuma, GA, Clifford (Lucille) Brown, Willie Frank Brown, Sr., Terry (Sherry) Brown, J.S. Brown, and Jean Brown of Marshallville, GA; twenty-four grandchildren, forty-three great grandchildren, thirteen great great grandchildren; two sisters-in-law: Mary Lizzie Brown of Marshallville, GA and Bernice Brown of Miami, FL; a host of nieces, nephews, other relatives and friends also survive. Funeral services for Mrs. Cordelia Larry Stewart will be Friday, December 9, 2011 at 11:00 AM at the Magnolia Baptist Church in Montezuma, Georgia with Rev. Hosie Waters officiating. Burial will follow at the Brown Chapel Cemetery. Mrs. Stewart died on Monday, December 5th at the Flint River Community Hospital. Cordelia “Tootsie Pop” Larry Stewart, daughter of the late Mary Louise Larry Thomas, Willie C. Thomas, and Claude Perkins was born May 2, 1963. 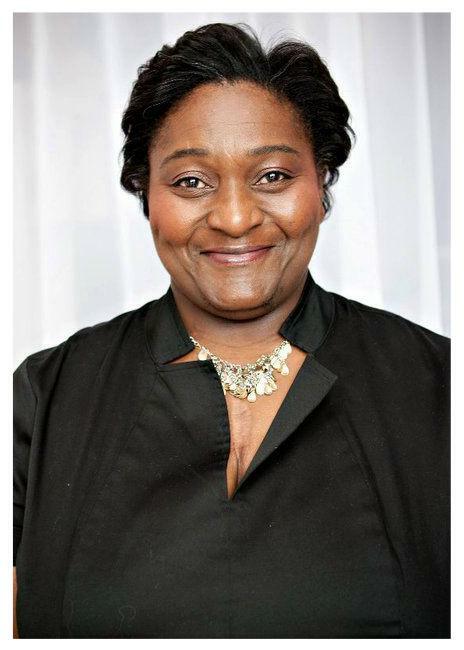 At an early age, she joined Brown Chapel Missionary Baptist Church and served as an usher and junior representative at the Southern Baptist Association for many years. She graduated from D.F. Douglass High School in 1980. She was employed at R&R Hilltop and Highbrighton for many years. On December 19, 1996, she was united in holy matrimony to Ernest Stewart. She was preceded in death by a son, Eric Ivory. Her memories will forever be cherished by her husband, Ernest Stewart; fathers: Willie C. Thomas and Claude (Laura) Perkins; sons and daughters: Derrick (Dana) Ivory of Vienna, GA, Decarris (Chelsie) Dean and Claudette Larry of Oglethorpe, GA and Domonique Larry of Montezuma, GA; nine grandchildren: D’Quayveon, Kaitlyn, Emiyah, Carmen, Derrick Jr., TyKevious, Miekell, Frankie Jr. and Ariya; brothers and sisters: Christopher (Camilla) Thomas of Montezuma, GA, Keefer (Miranda) Perkins and Shontanette (Robert) Barber of Atlanta, GA; grandparents; Clarence (Rose) Thomas, Montezuma, GA; mother-in-law, Mary A. Stewart of Oglethorpe, GA; aunts and uncles: David Larry, Olivia (Eddie) Cochran, Mary (Bobby Lee) Davis, Joe Henry (Helen) Thomas, Gloria Thomas, Mattie Waters, Bessie Leary, Lillian Butler, Lena Johnson, Norma Jackson, Ernest (Sharon) Perkins, Richard Perkins, Joseph Perkins, Cordelia Perkins; great aunts and uncle: Clifford (Lottie Mae) Brown, Mary Lizzie Brown, Bernice Brown, and Ophelia Larry; a loving, dedicated and devoted aunt, Dollie Larry West; devoted cousins: Hubert S. West, Jr. and D. Danielle (Bernard) Lane; devoted friends: Greta Greene and Cynthia Journey; two Godsons: Cameron McClendon and Frederick English; several loving nieces, nephews, cousins and friends. 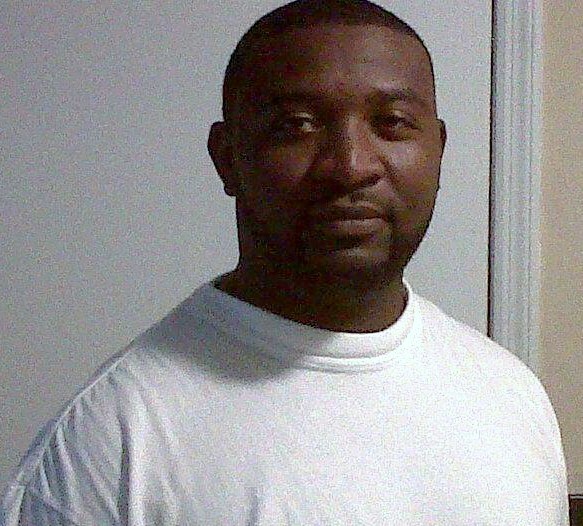 Mr. Eric Green age 34 of Americus, GA died on Sunday, December 4, 2011 at the Phoebe-Sumter Medical Center. Graveside services will be held on Saturday, December 10, 2011 at 11:00 A.M. at the Eastview Cemetery. Mr. Eric Gene Green was born in Sumter County Georgia on January 9, 1977 to the late Mr. Wilbur Gene Josey and Mrs. Bobbie Lee Green Paul (George Paul). He was educated in the Sumter County School System. Eric loved life to the fullest, sharing his love with his devoted wife Natasha. He was preceded in death by his aunt Eva Broner and a step brother George Paul, Jr.
Eric is survived by his wife, Natasha Barnett Green of Atlanta, GA; his loving and devoted children: Deric Green of Atlanta, GA, Miriah Green, Shayondria Oliveria Green all of Americus, GA, Eric Gene Green, Jr., Fantasia Green both of Savannah, GA; four loving sisters: Valerie Jackson, Sara Green, Keisha Cross (Damien) all of Americus, GA and Melissa Sampson of Vidalia, GA; on step-sister, Regina Taylor of Americus, GA; a devoted brother, Jeffery Green (Candice Davis) of Americus, GA; one brother-in-law, Michael Barnett of Stone Mountain, GA; his aunts & uncles: Cynthia Sims of Stone Mountain, GA, Bernice Green, Mary Green, Carmen Clark (William), Lorean Josey and Lena May Josey all of Americus, GA, Jimmy & Doris Josey, Clarence & Jewell Josey, James & Mary Josey, James & Mary Russell and Willie Lee & Barbara Green and a host of nieces, nephews, other relatives and friends also survive. Ms. Mary Louise Adams, 72 of 98 B Bozeman Circle, Americus passed away on Friday, December 2, 2011 at Phoebe Sumter Hospital in Americus. Funeral services will be held on Saturday, December 10, 2011 at 2:00 P.M. at the Brown Chapel Baptist Church with Rev. Bobby Brown officiating. Burial will follow in the church cemetery. Mary Louise Freeman Adams, daughter of the late Pinkie Lee and Monroe Freeman, was born December 30, 1938 in Montezuma, GA. She was a member of Brown Chapel Missionary Baptist Church, Montezuma. 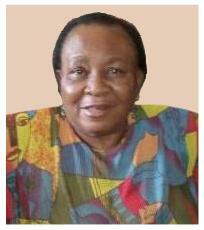 Survivors include her children: Willie C. Moore of Valdosta, GA, Joe B. (Vonda) Moore, Jr. of Vine Grove, KY, John (Wendy) Adams III of Plains, GA, Oscar Freeman of Montezuma, GA, Barbara Hardy, Mary Louise Adams, and Elizabeth Adams all of Americus, GA; twenty-four grandchildren, two great grandchildren; brothers and sisters: Willie B. (Martha) Felder of Henderson, GA, McArthur Freeman of Atlanta, GA, Queen Clayton of Oglethorpe, GA, Ralph Freeman of Bellglade, FL, Joseph Freeman, and Fletcher (Rosetta) Freeman of Montezuma, GA; one aunt, Beatrice Leggett of Byromville, GA; one uncle, Bo West of Newark, NJ; a host of other loving relatives and friends also survive.